Vincent Lecorne is a well-known figure of the entrepreneurial sphere in Quebec, where he has been involved for the last 20 years. In March of 2015, at the invitation of the provincial government, he assumed the role of Chief Executive Officer of Centre de transfert d’entreprise du Québec, a non-profit organization he helped founding with the assistance of the MESI, the Ministry of Economy, Science and Innovation of Québec. Ever since, Mr. Lecorne has been working tirelessly and diligently to build around him a team of advisors and experts, specializing in business transfer, thus catering to the needs of entrepreneurs, business owners and organizations alike, active in all sectors and areas of the economy. 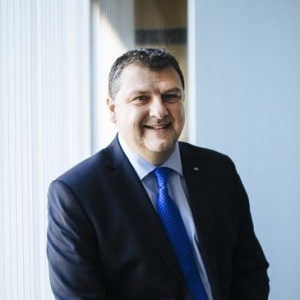 Firmly believing in the principle of making the business transfer market accessible and more transparent to all economic actors, alongside his team, Vincent Lecorne implemented a digital platform, called “INDEX”, allowing buyers and sellers alike, to identify the best opportunities, based on an interregional networking approach. In May of 2017, under the leadership of Mr. Lecorne, CTEQ initiated the first International Business Transfer Summit in Montreal, which was attended by more than 500 participants. Among the attendees, were featuring more than 100 speakers from Canada, Quebec and Europe, particularly from France, Belgium, Sweden and the United Kingdom. During this world premiere, guest speakers shared the results of their business transfer experiences and analyses of their academic research. Given the huge success of the first Summit, and with the encouragement of the partners in the economic community, CTEQ has engaged into the second round of regional summits in 2018, which will culminate with the second edition of the international Summit, to be held at the PCM - Palais des congrès de Montréal, on May 31, 2018. During the last three years, CTEQ and its team of professionals have been actively engaged within their mission, and to this day, more than 5000 entrepreneurs and businesses have been accompanied, safeguarding more than 23 000 employments, totalizing over one billion dollars in business assets and investments combined.